Southern Arkansas University graduates who have carried on the legacy beyond the SAU campus are honored each year. Six distinguished alumni were recognized for outstanding accomplishments on April 6, 2013, during the Annual Distinguished Alumni Dinner. 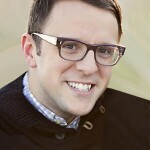 The Distinguished Young Alumni was Joel Parrish. Distinguished Alumni honorees were Lee Seabrooke and Jack Daugherty. The Distinguished Golden Rider Alumni were Cameron Dodson and Dr. B C Dodson. 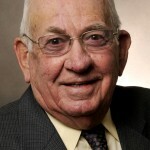 The Lifetime Achievement Award was presented to Dr. Lionel Barton. 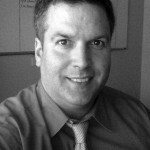 Joel Parrish earned a bachelor of business administration degree in marketing from SAU in 2001. He is married to Melissa Parrish and they have one son, Grayson. Lee Seabrooke graduated from SAU in 1994 with a bachelor of arts degree before going on to obtain a master of arts degree in 1998 at Houston Baptist University and a master of business administration at the University of Houston. His foundation started at SAU and was a lasting influence in his life, particularly the imprint of Professor of Psychology Dr. Ed Kardas. 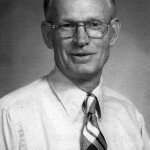 He is married to Coy (Mabry) Seabrooke, who also attended SAU. 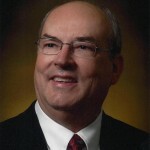 Lee is currently working on his Ph.D.
Jack Daugherty earned a bachelor of business administration degree in accounting in 1966. It was at SAU that he followed in the footsteps of his father, Jack Daugherty, Sr., and brother, Charles Daugherty. Daugherty and his wife, Liz, reside in Texarkana and have two sons, Brian and Mike. Cameron Dodson took a leave from his college pursuits to serve in the United States Navy during World War II. He came back to Magnolia, where he finished his bachelor of science degree in 1945 and taught school. He later served as vice chairman on the first Board of Governors for the SAU Foundation and served on the SAU Board of Trustees from 1976-1981. Dr. B C Dodson has been a Mulerider since the fall of 1932 when he attended first grade in a building formerly located on the site of the SAU Bruce Center. He was married to the late Norma Dodson, with whom they raised three children; Tekla Dodson Barr, Debbie Dodson White, and Barton Dodson. 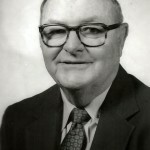 Dr. Lionel Barton (’56) studied agriculture at Southern State College between the years of 1954 and 1956 and completed his bachelor of science degree at the University of Arkansas. Barton has a daughter, Ann Boyd, and three sons; James, Steven, and John.